Situated in the heart of Bangkok, Sahara Hotel offers a convenient location featuring cosy rooms with cable TV and free Wi-Fi. 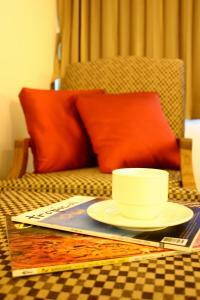 It offers a 24-hour front desk, restaurant and bar. With its location along the bustling Sukhumvit Road, Bangkok Sahara Hotel is steps away from a myriad of shopping, dining and nightlife options. BTS Nana Station is but a 5-minute walk away, while Suvarnabhumi International Airport is 45 minutes by taxi. 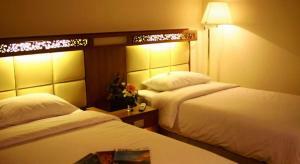 Sahara’s minimalist rooms offer the comforts of fully carpeted floors and air conditioning. 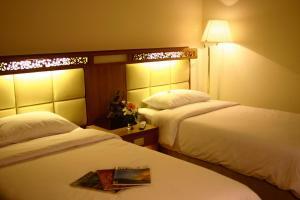 A safety deposit box and minibar are some of the facilities provided for guests’ convenience. 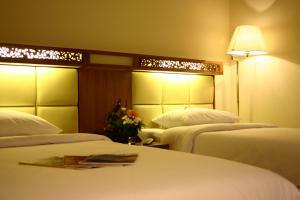 Free parking is offered in the hotel, along with laundry and room service. For dining options in the hotel, guests can visit The Bangkok Sahara Restaurant and Bar, which serves local and international dishes. The hotel requires deposit payment. 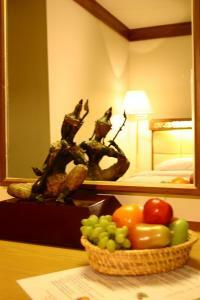 Guests will receive a direct email from the hotel within 48 hours of booking. To confirm the reservation, payment must be made within 48 hours once email is received. 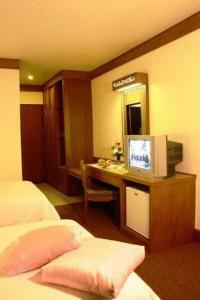 Air-conditioned room features a cable TV, safety deposit box and minibar. An en suite bathroom comes with shower facilities. 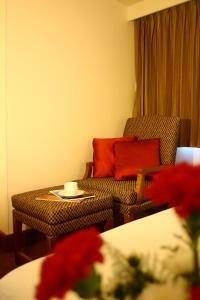 Rate: THB 2100.00; select dates below to get current rates.